Have you accidentally deleted some of the messages on your iPhone? It is not uncommon to immediately wonder where these messages go. After all, if you are going to have a chance to recover them, you will need to know where they go. But unlike photos or Notes, it is not easy to determine where messages go as soon as you delete them. In this article, however, we will explain where do deleted messages go and show you a number of solutions according to your situations that can help you get your deleted messages back. Operating systems such as the one on your iPhone, allocate space on a hard drive as adjacent groups of sectors that are known as allocation units or clusters. When a new file is created on the iPhone, the OS finds and allocates available space to the file. Therefore unallocated space is space that is not allocated to active files in the system. When a file is deleted the OS unallocates the space the file was originally allocated by removing pointers to it, thereby marking that area of the hard drive available for reuse. The OS doesn’t, however, delete the file from the hard drive completely; the file stays in the unallocated space until the OS stores another file in the same space. When this is done, the old file is overwritten. But unless a new file occupies this space, the file is still very much recoverable using a data recovery tool. This especially applies when new data has replaced the messages that you have lost. Overwriting refers to the process of writing a set of data in the computer data storage and is the term that is generally used to describe “writing over” previous data. Overwriting occurs when unused file clusters (the unallocated space we describe above) are written upon with new data although sometimes security algorithms can be used to accomplish overwriting. In relation to your iPhone, overwriting will simply refer to storing new data on the device soon after losing the messages. 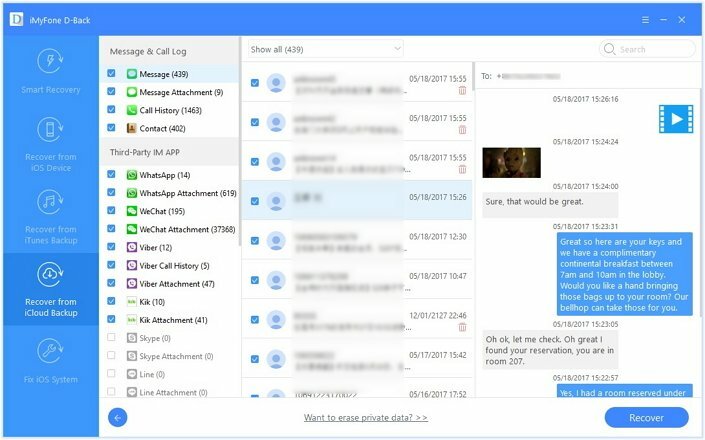 For example, if you discover that you have lost some of your messages and you continue to send messages, take photos or even browse on your iPhone, you will overwrite the missing messages. The most important thing to remember is that once data has been overwritten, it is unrecoverable. You may remember that we said you can use a data recovery tool to recover data as long as it has not been overwritten. 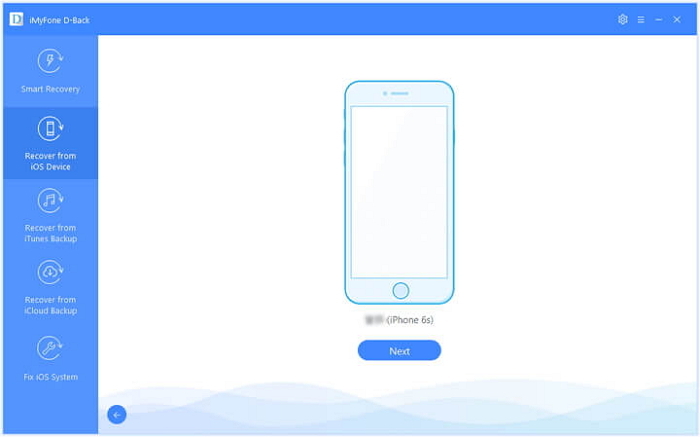 One of the best data recovery tool to help you do this is iMyFone D-Back, It will scan your iPhone deeply to find all the deleted messages in your iPhone ' unallocated space. 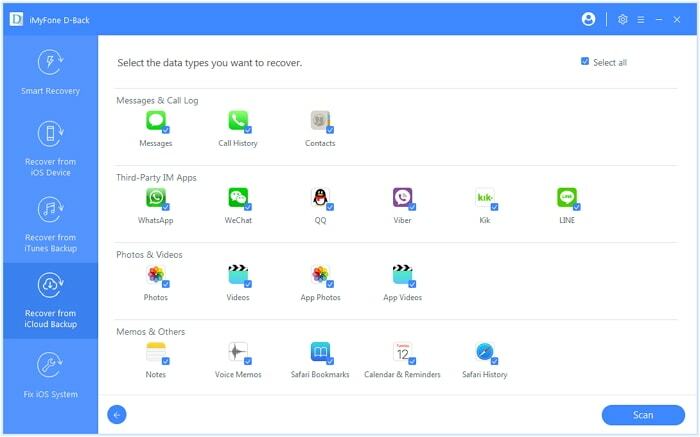 What's more, it can also be used to extract data from an iTunes or iCloud backup file which is ideal when you have a backup but don’t want to restore the device just to get back a few messages. Step 1: From the main window, select “Recover from iOS Device” and then click “Start” to begin. Connect the iPhone to the computer using USB cables and wait for the program to detect the device. Note: This process will only work if the messages haven’t already been overwritten. It is important that you stop using the device as soon as you realize the messages are missing. Any new data added onto the device could overwrite the missing messages. Choose this recovery mode if you have a backup of the messages in iTunes but don’t want to restore the device. Step 2: In the next window, select “Message” as the type of data you want to recover and then click “Scan” to begin analyzing the backup file to find the missing messages. 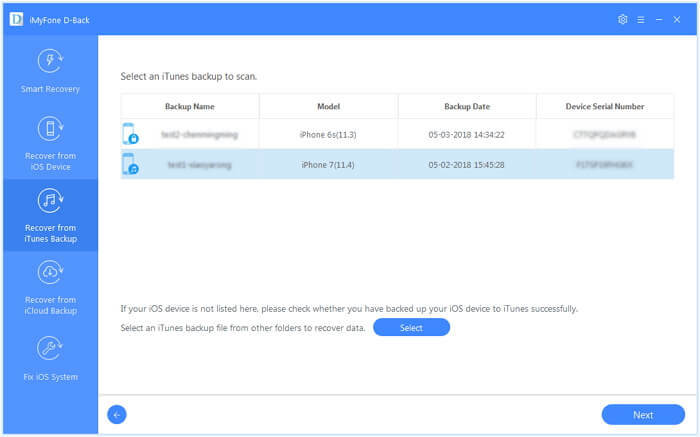 If the messages are in an iCloud backup instead, follow these simple steps to get them back. 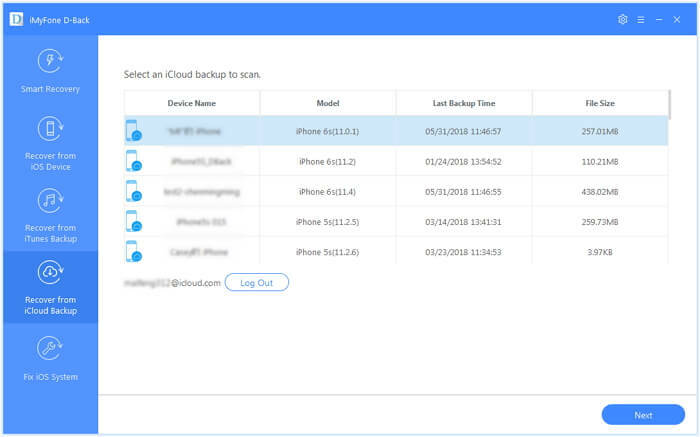 Step 1: From the main window, select “Recover from iCloud Backup” and sign in to iCloud and then select the most relevant iCloud backup. Click “Next” to proceed. Step 2: Select “Message” in the next window and then click “Next” to allow the program to analyze the backup for the missing messages. click “Start” to begin. In this way, D-Back gives you an easy way to recover the deleted messages on your iPhone even if you don’t have a backup. You can also extract the messages from your iTunes or iCloud backups without having to restore the device.